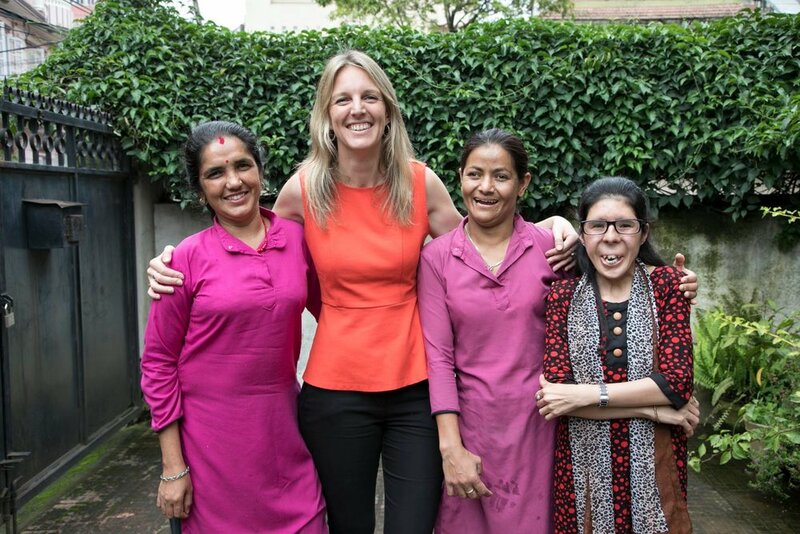 Our humble beginning started a few years ago when a curious traveller met seven disabled women in the backstreets of Kathmandu. Through broken English, she learnt about their struggles and spent the last $200 to pay two trainers to teach the women how to knit and felt different products so she could sell it in Australia. That day, Seven Women, our sister charity was born. Ten years later, Seven Women has employed over 1,000 women to make fair trade products and has changed the lives of thousands more disadvantaged Nepali women through education, training and employment. But it was not enough. Some women have different capabilities while others are not equipped to work long hours making fair trade products due to their disabilities. Hands on Development was founded to provide better job opportunities for these women. As a proponent of true capacity building and empowering whole communities to develop, the notion of ethical tourism which employed not only the women of the Seven Women charity, but helped bring money into the local community was deeply appealing. Through the years, we formed strong relationships with many inspirational local leaders and organisations. We use these connections to provide travellers with engaging, transformational experiences within local Nepali communities. Although we are still growing, we are now able to employ our women as tour guides, train them in culinary and hospitality skills to run vacation experiences at Seven Women Centre and support Seven Women’s educational programs. Our mission is to create a more tolerant and compassionate world by providing life enriching travel experiences that benefit both locals and participants. Our tours aim to inspire and equip travellers with lived experience to become advocates for issues they care about. After all, our journey starts with travel – a travel that has changed many people’s lives. Anita is no stranger to the plight of women in Nepal. Being one of the 6 girls in her family, she has seen it all. Anita left home when she was 14 years old and has had experience in managing a boutique hotel before taking on the role at Seven Women. Anita has a passion for cooking and loves welcoming visitors to our centre to participate in our classes and works part time as a guide at Hands on Development. Anita is passionate about the empowerment of women through literacy skills training and income generation. Padam Kumar Shrestha is our fantastic logistic manager and treasurer who has studied sociology, and is passionate about creating change. Padam has been working for Seven Women for 10 years now. Padam will be with the group for the entire duration of our tour. He is a talented cook, has a background in business and a very well known volleyball player who used to play for the the National Team.